The NBA is going through its annual free agency period and there have been lots of players moving from one team to another and signing new contracts. The NBA has a salary cap, so each team has a limit to the amount of money it can spend on player salaries. Since every team has the same amount of money to spend on players, they all execute various strategies to try to maximize their investment in personnel. There are also various contract incentives and complex rules built into the league’s collective bargaining agreement that are making this year’s NBA free agency period one of the most intriguing in recent years, as basketball fans watch to see which star players will join contending teams for less money, which teams will trade players to try to clear salary cap space to make a big move and which teams will come out as the winners and losers of free agency. Although some of the characteristics of NBA free agency and signing NBA players are unique to the NBA, there are some broader financial management lessons that even small business owners can learn from looking at the way these NBA teams are assembling their rosters, evaluating their personnel and rewarding top talent. 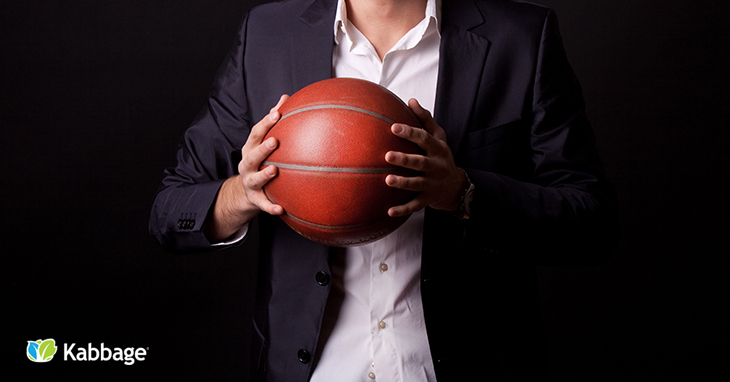 Recruiting NBA free agents is more high-stakes and more highly publicized than recruiting employees for a small business, but one essential element is the same – if you’re recruiting top talent, you need to have a compelling competitive advantage to explain why your company is a great place to work. For example, LaMarcus Aldridge is an NBA All-Star and one of the top free agents of 2015. He decided to join the San Antonio Spurs instead of staying with his previous team, the Portland Trail Blazers. The Spurs were one of several teams who were courting Aldridge in free agency, and the first team he met with was the L.A. Lakers. The Lakers have long been a glamour team of the NBA, with a reputation for “Showtime” offense, multiple championships, great players like Kobe Bryant, celebrities sitting in courtside seats – and yet Aldridge turned down the Lakers’ offer because he reportedly wasn’t impressed with the team’s presentation about how he would fit into their overall style of basketball, and was also underwhelmed by the team’s use of analytics to evaluate basketball tactics. The Spurs gave him a much better impression by showing him how he could be the successor to Tim Duncan and how he could play the style of game that best suits his strengths. Even if the money was equal, even with all the advantages that the Lakers could offer, the Spurs knew how to make a compelling pitch that convinced LaMarcus Aldridge to go work for them. The San Antonio Spurs are also known as one of the best-run teams in the NBA with strong abilities in analytics and talent evaluation – they tend to find great players who other teams overlook. This is a competitive advantage for the Spurs, even if they can’t afford to offer more money or more glamour than the Lakers. There’s a lesson here: marketing a small business is not just about attracting customers – these same processes of understanding your brand and marketing your key competitive advantages can also help you with attracting employees. When you know what your company stands for and you know how to maximize your people’s talents, talented people will be even more likely to want to work for you. One of the surprises of NBA free agency is that some top players were willing to accept less money than they could have gotten by staying with their existing team, because they would rather go play for a winning team that has a chance to contend for a championship – even though it will reduce their earnings significantly. David West also decided to join the Spurs, leaving his old team (the Indiana Pacers) and accepting a big pay cut – West is reportedly giving up $11 million in foregone salary that he could have earned with the Pacers because he wanted to contend for a championship in San Antonio instead. This is another example of how organizations with a winning culture can often save money over the competition. If your company is recognized as a great place to work, you might be able to get people to work for you for less money than they could make somewhere else. You might need to spend less money on advertising because your customers love you so much that they spread the word for free. You might get better deals from vendors because you’re so great to work with. Whatever it is, there are many advantages to having a winning culture and being recognized as a great place to work and do business – and it pays dividends in numerous ways. LeBron James is arguably the best player in the NBA. Even though his maximum salary is limited by the salary cap (James is actually badly underpaid based on how valuable he is to his team), LeBron James has more power over his contract negotiations than any other player, and probably even more than the team owners, because he’s so important to his team’s future. LeBron is fully expected to re-sign with the Cleveland Cavaliers once the team finalizes its other free agent contracts, but there’s no doubt that even though he’s technically an employee of the Cavs, LeBron is largely running the show there. The lesson? Reward your top talent lavishly. Show them that they are valued, listen to their insights, pay them what they’re worth – which might be a lot more than anyone else on your team. Kabbage Takeaway: Small businesses don’t have a salary cap like the NBA – but it’s also important to remember that you can reward your employees in ways that are more important than money. For example, by giving people autonomy, a sense of creative engagement and ownership of their work and a feeling of belonging to a winning team culture where they learn from and are energized by their colleagues each day. What other lessons can small businesses learn from the NBA free agency? Share your thoughts with us in the comment section below.